This coming May we invite guests to enjoy the magic of ZSL London Zoo after hours at a fundraising gala like no other. Safari in the City, hosted by TV presenter and wildlife conservationist Chris Packham, will return to ZSL on Wednesday 15 May 2019. As the sun sets, guests will enjoy a truly unique tour of the Zoo, fine dining and entertainment, while together we will raise vital funds to tackle the illegal wildlife trade (IWT). It is shocking that the tiger population has been decimated by 96% and IWT, worth some $23bn, affects many iconic species such as elephants, rhinos, pangolins and sharks, and is linked to other criminal activity. Local communities are severely affected with the poorest often becoming victims of extortion. We must continue to work together to address this, supporting them and stop critically endangered animals from becoming extinct. Our exclusive Safari in the City Gala will begin after the Zoo closes to the general public with guests exploring some of ZSL London Zoo’s most fascinating exhibits, enjoying cocktails with our conservationists and scientists. Includes one table for 10, cocktails and canapés, Zoo tour, dinner and entertainment. Includes one table for 10 with preferred placement, cocktails and canapés, Zoo tour, dinner and entertainment. Includes one table for 10 with premier placement plus two ZSL wildlife conservation ambassadors, cocktails and canapés, Zoo tour, dinner and entertainment. Includes one table for 10 with premier placement, plus two ZSL wildlife conservation ambassadors, a full-page advert in the gala programme, cocktails and canapés, Zoo tour, dinner and entertainment. Plus a stay for each guest in our safari lodges within roaring distance of the lions on the night of the gala! Thanks to our generous supporters, last year’s Safari in the City gala raised over £350,000 for ZSL’s wildlife conservation around the world. Please join us so that together, we can see a world where wildlife thrives. Please contact us if you would like to join us at Safari in the City 2019. * This includes a ticket price to cover the event costs for each individual and a suggested donation to ZSL. 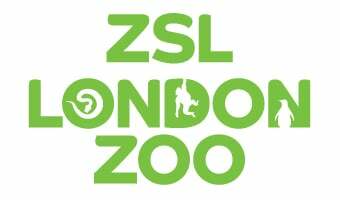 Gold: ticket price £250/donation £100; Platinum: ticket price £250/donation £250; Diamond: ticket price £250/donation £500; ZSL Champion: ticket price £2,500/donation £1,750.